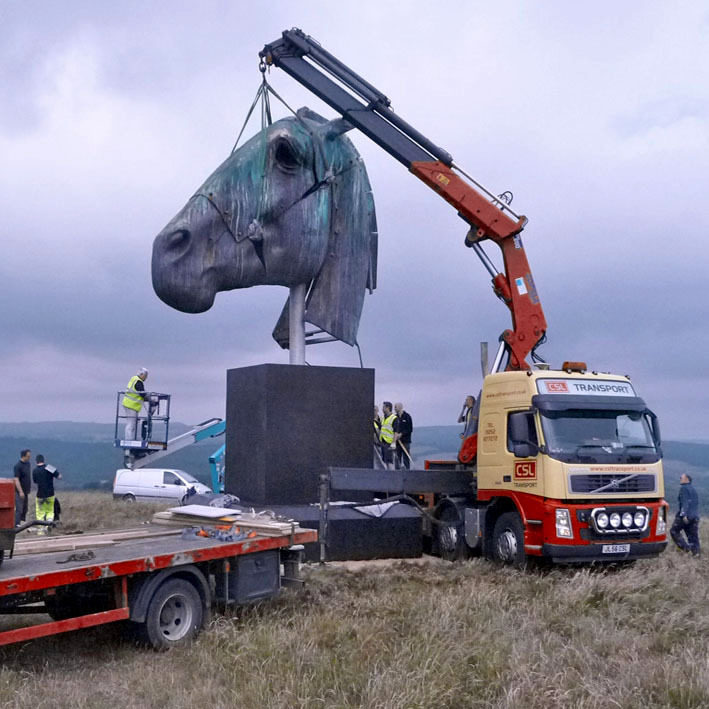 We are highly experience in the installation of public art works, provinding the skills and equipment needed to install sculptures anywhere in the world. Over the years we have built strong working relationships with a group of professional who are specialists in lifting, carrying and manoeuvring large-scale works. We can also arrange international shipping. In preparation for the installation, we can make a site visit and coordinate with local authorities, site engineers and landscape architects and liase with the subcontractors carrying out the groundworks. If streets need to be closed we can organize traffic management. Councils and building companies have to adhere to the strictest guidelines and the laws are constantly changing. Our fully qualified Health and Safety Officer keeps up to date about changes affecting our work and provides all the required risk assessment and method statement documents. We are normally contracted to install the works we cast, and we are proud to see the completion of a successful project. Our services are also available to sculptors working in different materials and with other foundries.